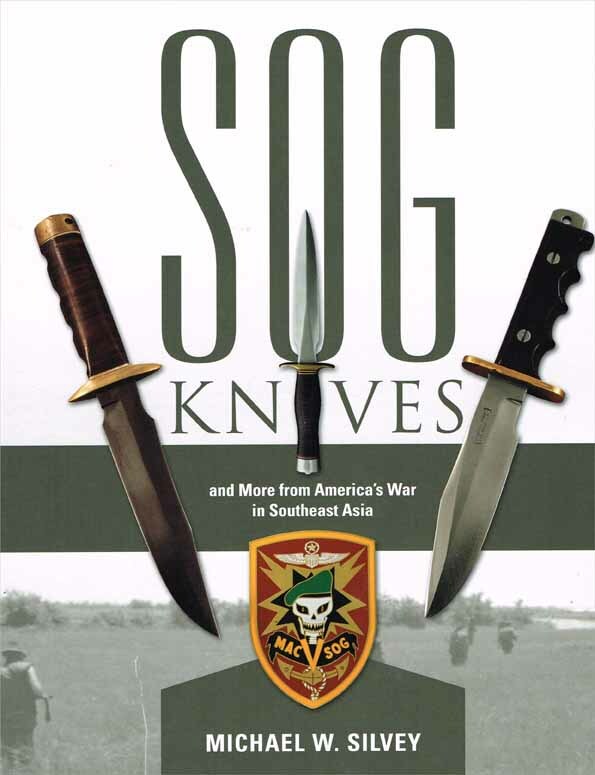 This guide showcases knives used by America’s clandestine military in Southeast Asia during the Vietnam War. It provides the collector and others interested in the period a way of identifying honest SOG (Studies and Observations Group) specimens and separating them from counterfeits. With beautiful color photographs that show a high level of detail, the book identifies all known SOG specimens (over 165 knives) and includes rare personalized knives and custom combat knives made in the United States. Sections of the book focus on Randalls, Eks, Gerbers, and the knives made by tribal artisans in Southeast Asia. This is the eighth in Mike Silvey’s series on military knives. Excellent! H/C. 128p.